GraphicMail has recently released an improved version of their integrated Spam Tests and Inbox Preview features for their clients which contains upgrades to both of those pre-send testing features. Both the Spam Test and Inbox Preview function generate over 30 test results and viewable previews before you send. This ensures that email marketers, will be fully informed of rendering and measurable spam scores before sending off the email. This utility gives GraphicMail users the ability to see how their email will render on a multitude of email clients, devices and browsers – before the send and within minutes. It does this by rendering your email on a combination of over thirty email clients and devices (EG: Gmail through Firefox on an Android device). After designing an email and creating the subject, GraphicMail clients can select Inbox Preview under the Send tab. Choose which newsletter you would like to preview and click ‘Generate a test’ button. Once the status on the right of the email list turns from pending to completed, all previews are ready. The inbox preview is shown through a dashboard of thumbnails representing how the email will look on different platforms and clients. Click on a thumbnail to enlarge the preview and see how the email will render in that specific email client. 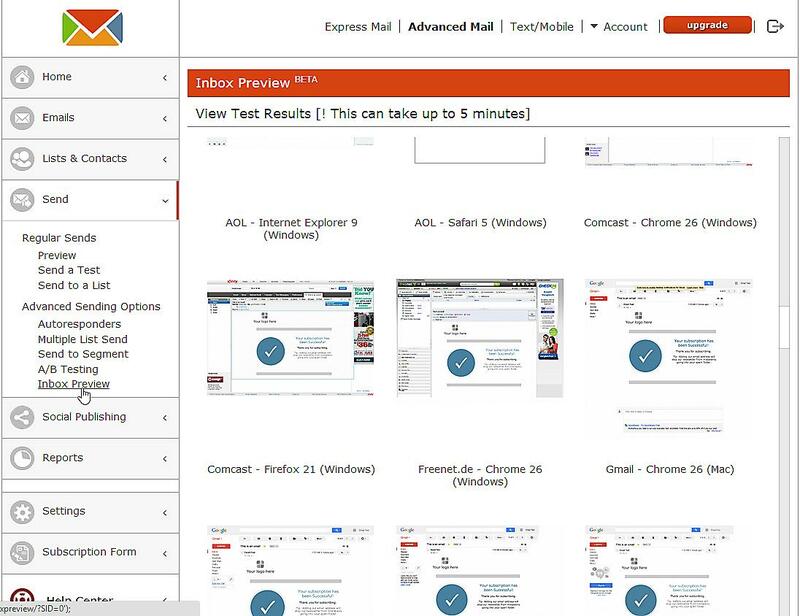 The Spam Test tool allows GraphicMail users to test how likely their email will be identified as spam by comparing the content and composition of the mail against a wide selection of spam filters and checks from SpamAssasin before it is sent. Many email marketers end up being reported or getting their mail sent to the spam folder even though their intentions were perfectly innocent. This is why it is important for emarketers to ensure their email will avoid the spam folder and make it to the inbox. After creating the email content and subject line, email marketers can select Spam Test after selecting ‘send to a list’ under the send tab. 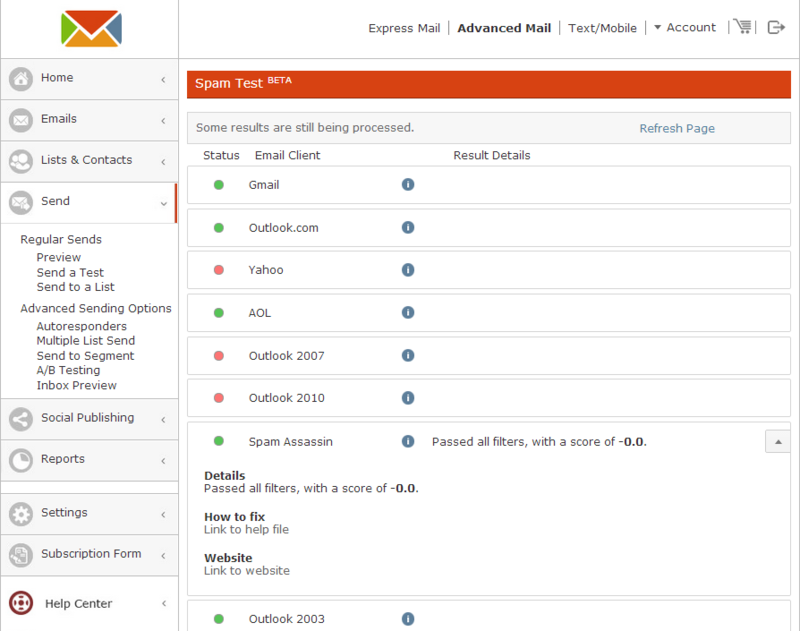 After the test is completed, selecting ‘view’ and an email marketer is able to view how the mail performed and if it is likely to be marked as spam. Details of each test are shown when hovering over each result. The pre-testing functionalities are currently available as a free beta to their users, who can improve and comment on the user experience via a short survey or online suggestion box. Later it is planned to be paid functionality add-on. GraphicMail is an email and mobile marketing provider, helping small and big businesses with their marketing communication needs.